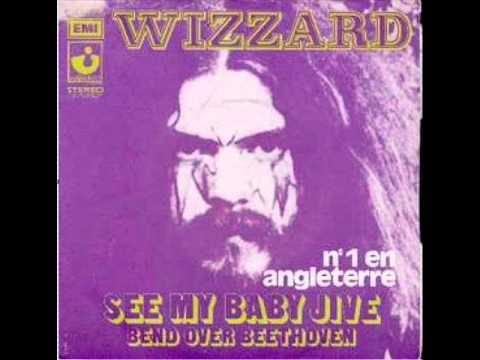 "See My Baby Jive" is a song by the British glam-rock band Wizzard. Written and produced by Roy Wood, the song was the second single by Wood's band and their first to reach number one in the UK, spending four weeks at the top of the chart during May and June 1973. The record is deeply indebted to Phil Spector's Wall of Sound.